Rich, earthy, chocolatey goodness in doughnut form. Whats not to love? Preheat the oven to 180c/360f and grease a 6 hole doughnut pan and set aside. Sift together the flour, cocoa, cornflour, baking soda, baking powder and salt into a mixing bowl. In a separate mixing bowl whisk together the flaxseed, almond milk, sugar, vinegar, oil and vanilla. Make a well in the dry ingredients and add in the wet ingredients, partially mix, and then fold in the grated beetroot. Either scoop the batter into a piping bag and pipe it into doughnut pan, or carefully spoon into the pan. Bake for about 8-10 minutes until a skewer inserted into one of the doughnuts comes out clean. Cool for about 5 minutes in the pan before carefully removing and placing on a wire cooling rack to cool completely. 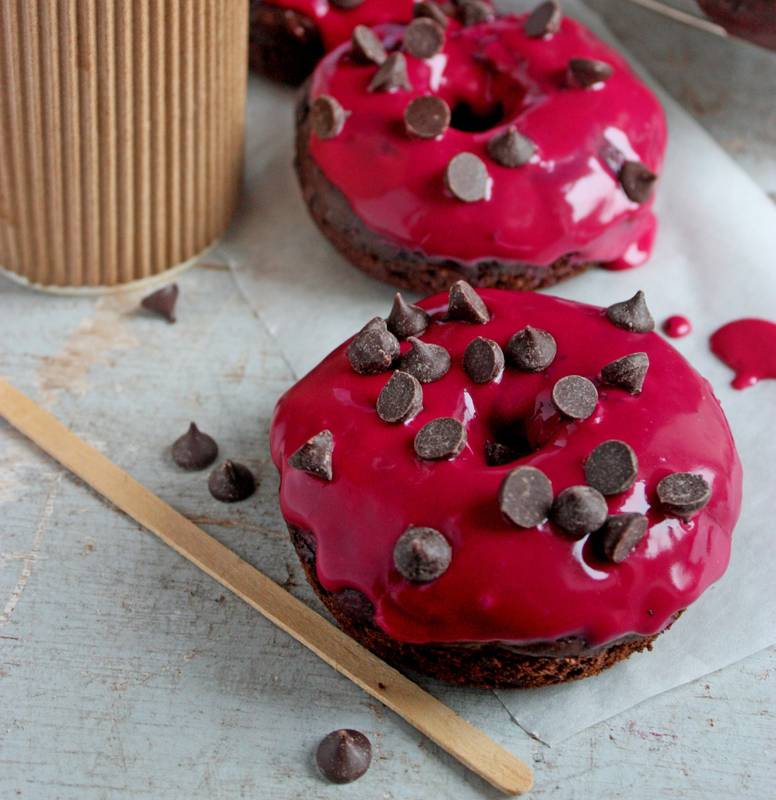 Once fully cooled whisk the beetroot juice and icing sugar together and spoon a little over the top of each doughnut, sprinkle with chocolate chips and allow the icing to set. 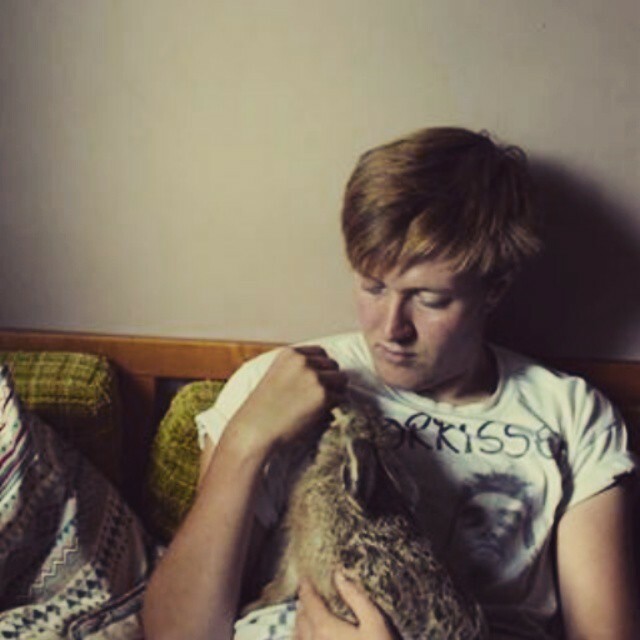 About the author: Alexander lives by the sea in England, and is the son of both a baker and a chef. Growing up, many of his happy memories were food related, but he never really explored cooking by himself until he became vegan. He wants to show people how to eat tasty, healthy and nutritious food, and how to make vegetables incredibly tasty! For more inspiring vegan recipes, please visit Alexander’s website, www.invegetableswetrust.com.